The exoplanet finder extraordinaire that is the Kepler telescope significantly changed our understanding of the type of planets that can exist in our galaxy. We only find two types of planets in our solar system: small rocky planets (like the Earth) and giant gassy planets (like Uranus). The scientist working on Kepler’s data have identified a third type: small gas planets, dubbed gas dwarfs. The existence of small gas planets challenges how we think planets form. 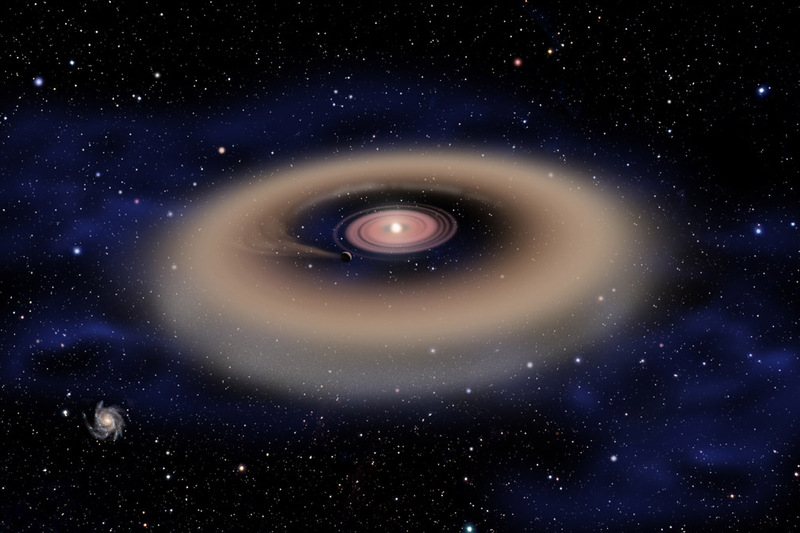 While we know that planets form from a dusty cloud orbiting around a star, the mechanisms for the formation of a specific kind instead of another is still matter of debate. A possible explanation might have to do with the metallicity of their parent stars. The metallicity is the percentage of elements which are not hydrogen or helium in stars. Rocky planets in our galaxy tend to orbit stars with solar metallicity, gas dwarfs and giant planets on the other hand orbit stars with higher metallicity. As metals tend to make smaller stars this could explain how the gas around these planets escaped the gravitational pull of their stars. Obviously many other factors could be influencing planet formation, and even metallicity could be just an indication of a more subtle law at work.